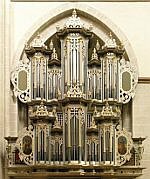 The organ of the monastery church of Riddagshausen near Braunschweig was built in 1979 by the renowned organ workshop of Alfred Führer in the neo-baroque style. It is designed very similar to the first organ of the church, built around 1619 by Heinrich Compenius the younger. Like the Compenius organ the new instrument comprises 31 stops on three manuals and pedal and fills the large church room with its beautiful sound. The disposition and the pipe scaling are closely following the original instrument. With its warm fundamentals and expressive reeds it is per­fectly suited for a wide repertoire, even romantic and contemporary music. The disposition of the organ is printed on the last page of this booklet. Lively concert activities with international guest organists attest to the wonderful sound of the instrument and make it known widely even outside of Germany. Please take note of the licence conditions for this sample set (see requirements tab)! Note: A booklet with more information about the sample set can be downloaded here. 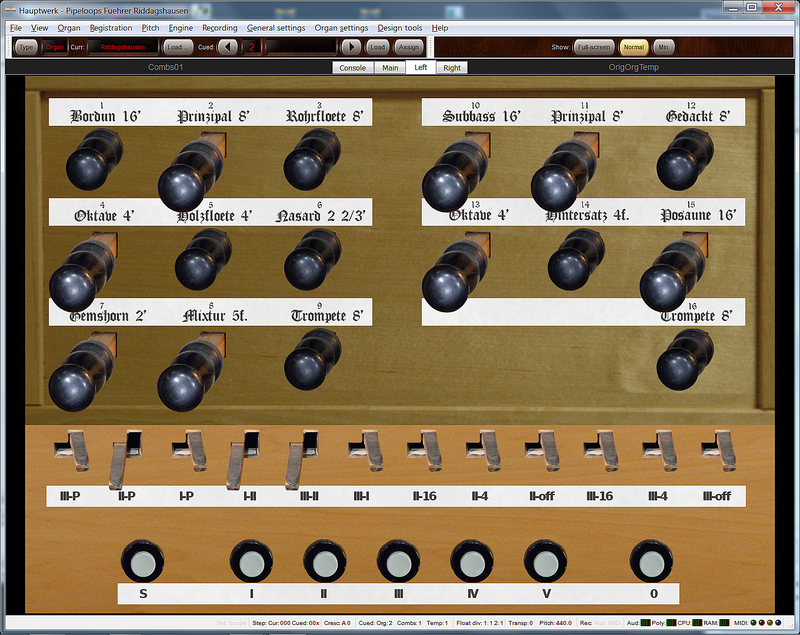 A booklet for the Grand Orgue version of the sample set can be downloaded here. The organ has been recorded in 2010 using state of the art recording techniques and equipment. At least three releases (staccato, portato, long note) have been recorded for each pipe to fully capture the reverberation of the large room, and additional layers for all pipes of the Rückpositiv and Brustwerk with the tre­mu­lant on. This results in an unsurpassed realism of the tremulants of the virtual organ. Tracker action, stop action, wind, and tremulant noises have also been recorded and can be switched on or off from the virtual console. Terz 1 3/5' in the Rückpositiv. Coupler III-I as well as sub- and superoctave couplers for Hauptwerk and Brustwerk. Manual compass up to c'''' (original up to g'''). The Brustwerk of the real organ can be muted by manually closing wooden doors in front of the pipes. This has been modelled as an enclosure that can be controlled via an expression pedal. Ten programmable general combi­nations facilitate quick registration. 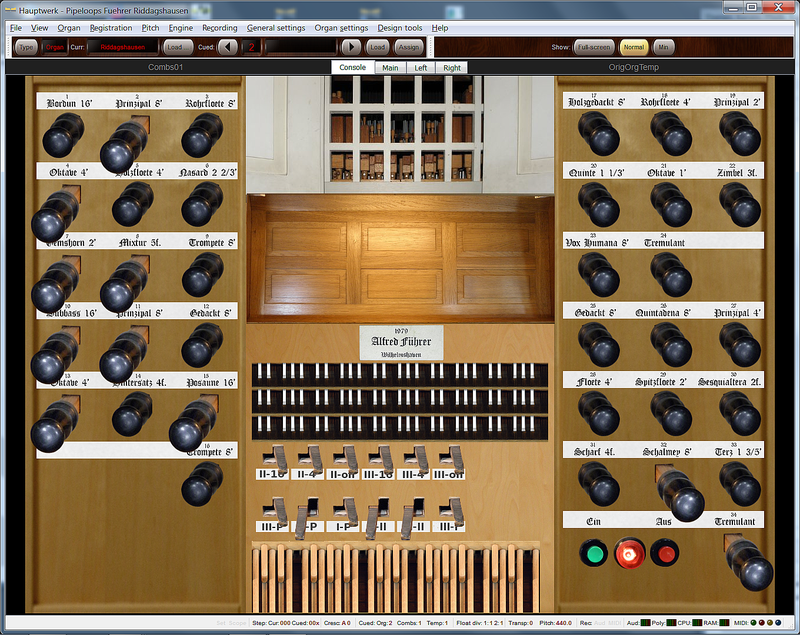 The user interface of the virtual pipe organ consists of four screens which are optimized for touchscreen use. 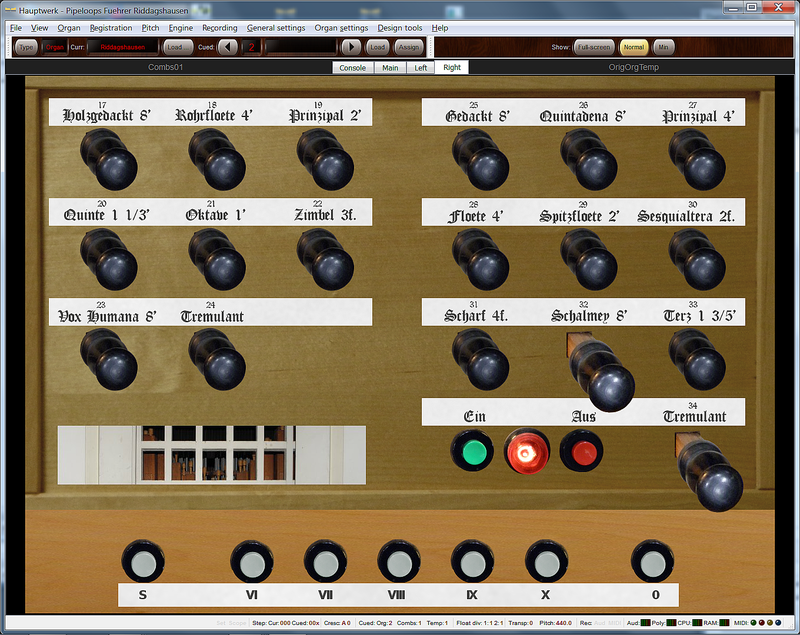 The console screen shows all stops and couplers as well as the key­boards and pedalboard plus some optical elements (music rest, company plate) from the original organ. The Brustwerk doors may be opened or closed by clicking on them. This screen displays somewhat larger images of the drawstops as well as the gene­ral combinations and control switches for action and wind noises. These additional screens are intended to be used with two touchscreens. They show the same elements as the main screen split into a left and right hand page. These screens provide the best usability due to the large size of the control elements. The recordings were made using Microtech Gefell Mk221 capsules with MV201 preamplifiers mounted on a Jecklin disc. These microfones mounted on the Jecklin disc result in a recording that is rich in detail and captures the room ambience perfectly. The signal was digitized in 24bit/96kHz using a Focusrite SaffireLE without any analog filtering. All sample processing steps were done with the 24/96 sample quality before finally converting them to 48kHz for distribution. This sample set requires a powerful Windows-PC or Apple Mac-OS computer with 64-bit operating system and the Hauptwerk™ software (*) Advanced Edition (version 3.3 or higher). For best results a powerful CPU (e.g. a modern quadcore CPU) and sufficient main memory (RAM) are essential. The memory requirements for the Hauptwerk process with the sample set loaded are specified in the table below for the most important sample loading options. While this table lists the memory requirements when used with Hauptwerk, the memory usage when used with Grand Orgue is nearly the same. A Windows-PC will need about 1 GB additional memory for the operating system and other necessary processes, a Mac-OS computer should have about 30% additional memory available due to its different memory management system. Additional options are e.g. loading with 20-bit resolution (about 10% less memory required than 24-bit) or to only load the first loop of each sample (also about 10% reduced memory require­ment). §1) This agreement defines the licensing agreement between Pipeloops Reiner Suikat and the customer of the sample set of the Führer organ in Braunschweig-Riddagshausen (Germany). The sample set consists of the samples, images, database and other files. §3) The customer may use the sample set for public performances. The customer must credit the use of the sample set in the program notes. Commercial recordings using this sample set are not allowed. §4) The customer is allowed to make backup copies of the distribution media as needed. However, the customer must not distribute copies of the sample set or parts of it to third parties. §5) ONLY VALID FOR THE HAUPTWERK VERSION: When the customer does not want to use the sample set any more, he is allowed to sell it. In this case the customer must sign a written statement that he has handed over the distribution media and all copies to the new owner and that he has deleted all files of the sample set from his computer and send this statement along with the name and address of the new owner to Pipeloops. On this page you can find a growing collection of demo pieces played for us by accomplished organists. All demo pieces have been played live using this sample set and recorded directly to disk with Hauptwerk. No effects or filtering have been applied to the recordings. Many thanks to the contributing organists! New pieces will be added here frequently, so please visit this page again for more demo recordings! Rohrfloete 8 Ein guter Hofdantz Bernhart Schmid 16.Jh. 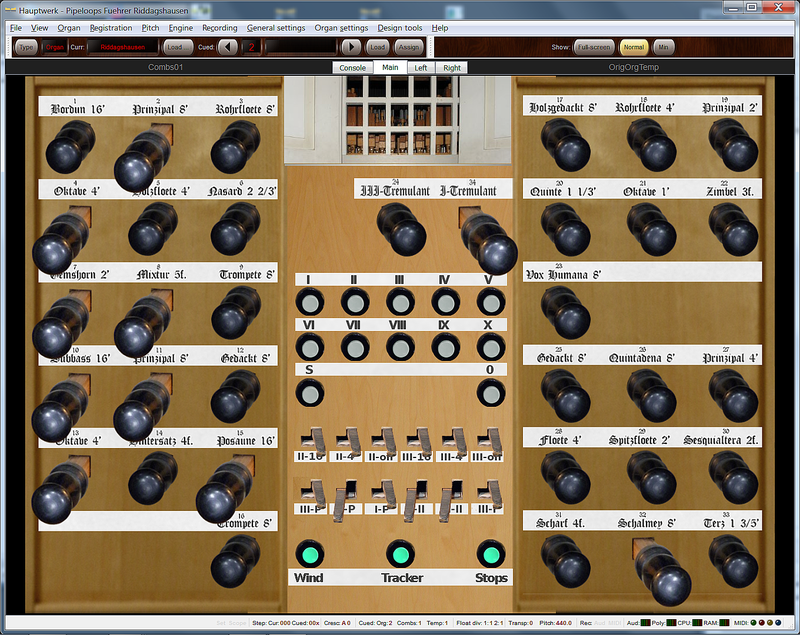 1) A small (7 stops), fully functional miniset, only available for download (free). This version can be obtained by just downloading the first of the four package files. The disposition of this miniset is listed below. This mini sample set can be fully used with the Hauptwerk Free Edition. 2) The full sampleset, fully functional except that the sound is muted for a short period of time every 45 seconds, available for download (free). When you have installed the full trial edition, upgrading to the licenced version will only require a new organ definition file, which is available as a small downloadable file. Hence it is not necessary to download the full organ again.